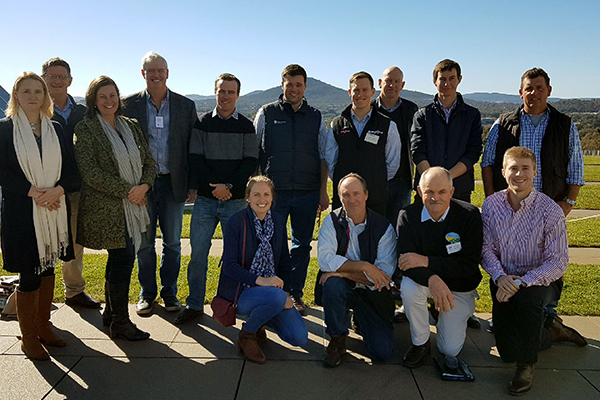 The Sheep Industry Leadership Program (SILP) is the flagship program as part of the SPA and Meat and Livestock Australia joint initiative ‘Building leadership capability for the sheep industry’. The program is delivered by the Australian Rural Leadership Foundation. SPA wants to champion leaders in the industry and upskill them to take on greater roles in the future. SILP participants will develop a greater understanding of leadership roles and responsibilities and the value of collaborations, advocacy and effective negotiation. Develop strong leadership capabilities, including critical thinking, persuasion and influence, negotiation, facilitation, and communication. Facilitate a deeper understanding of the shared leadership challenges and opportunities faced by the Australian agribusiness sector and to be part of a practical and cooperative approach. Foster ongoing relationships for peer support to strengthen the sector. Participants build relationships and networks through communication, influence and new technology application and be connected to industry leaders and experiences of ‘stepping up’ for the industry. The program is run over three sessions (two face-to-face and one online). The sessions are designed to challenge participants, both personally and professionally, and to improve their leadership and understanding of good governance. In 2018 there are 16 SILP participants from throughout the sheepmeat value chain and from all sheep producing states representing producers, agribusiness, researchers, marketing and communications and industry consultants. Participants in the 2017 Sheepmeat Industry Leadership Program visit Parliament House including (back) Allison Harker, Peter Thomas, Amanda Olthoff, Michael Wright, Alister Persse, Dan Korff, Josh Sweeney, John McGoverne, David Lomas and Ben Haseler with (front) Elise Bowen, David Young, Graeme Sawyer and Isaac Allen.